Firefighter Paramedics Pat Heinz and Dan Bredthauer surprised Lavinia Santos when the fire department arrived at her home this morning. 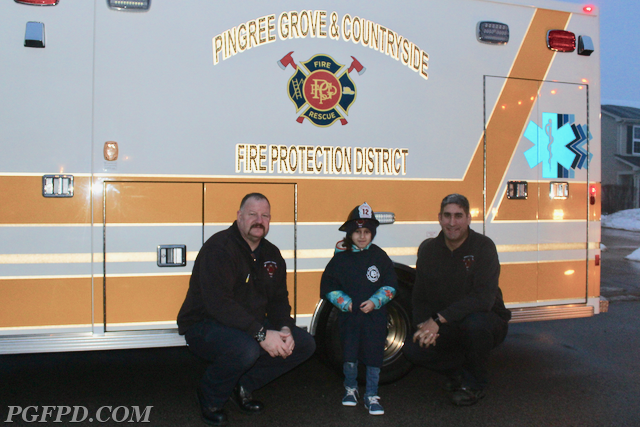 The Pingree Grove Fire Protection District worked with the Make-A-Wish organization to help Lavinia experience a memorable, exciting and fun event. 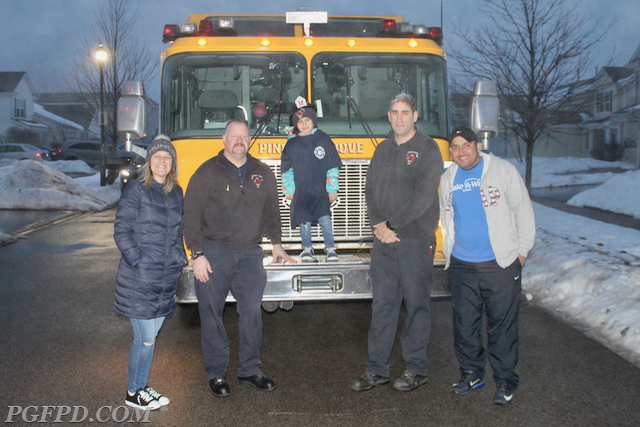 Lavinia and her family started their journey, of fulfilling her "wish", with the assistance of firefighters and flashing fire truck lights. I applaud your efforts in granting this young-one's wish, well done!